Truckers that have a Body Mass Index of 35 or more are going to be hunted down in the name of the 2012 Sleep Apnea witch hunt. If you are a male trucker with a BMI of 35 or more, are over 45 years of age, snore, have high blood pressure and are Hispanic or African-American sleep with one eye open, they might already be at your bedroom door trying to get in. Who Is Being Targeted For Sleep Apnea? The Federal Motor Carrier Safety Advisory Committee and the Medical Review Board have declared war on drivers with a BMI of 35 or more, even though they admit it might be a BMI of 30 or maybe even 40, that plays a role in sleep apnea. To give an example of BMI, if you are 5' 10" and weigh 240 pounds, you have a BMI of 35. If you are 5' 5" and weigh 210 you have a BMI of 35. There are no true statistics to provide this hunt with facts. The National Institutes of Health "estimates" that 18 million people, about 4 percent of men and 2 percent of women between the ages of 30 and 60, have sleep apnea. If 18 million sounds high, consider that 30 million have insomnia. The FMCSA combined their data with the data from the UPenn sleep study in an attempt to confirm that sleep apnea increased truck driving accidents. The results - sleep apnea did not show a statistical increase in motor vehicle accidents. The data did show however that younger, inexperienced commercial drivers are at an increased risk of causing commercial motor vehicle accidents. The Stanford University Medical School also did a study. They reviewed forty-two accidents by truck drivers and concluded that only seven of the accidents were "fatigue" related. They also reported that more than half of the accidents had occurred while the truck driver was in a personal vehicle, not a commercial vehicle. The Stanford results also found that obese truck drivers cause more accidents than non-obese drivers, and obese drivers are more tired than non-obese drivers. Maybe we should be watching the driver's donut consumption rather than their sleeping habits. Who Is Behind The Push For Sleep Apnea Testing? One of the strong backers of the Sleep Apnea witch-hunt is Mrs. Wanda Lindsay. Mrs. Lindsay just received a $3.25 million dollar settlement for her husband's untimely death, which occurred while they were stopped in traffic. A truck driver, who states that he had turned his head to see a wreck on a service road, plowed into the back of the Lindsay car doing 65 mph or more killing John Lindsay. 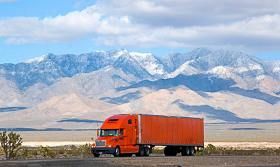 The truck driver was possibly diagnosed with severe sleep apnea; there is some confusion as to when he was diagnosed and an interesting rumor that states he had been turned down by thirty trucking companies due to his sleep apnea. This accident obviously had horrific effects but the truck driver states that he was awake and had just glanced away for a moment. He hadn't realized that the traffic had come to an abrupt stop. Though he was without a doubt at fault, can we say that sleep apnea was at fault for his inability to stop? Is This All About The Money? The money associated with sleep apnea is at the very forefront of this witch-hunt; $200 for a consultation, $1,000 or more for a sleep study, $3,500 follow-up fees, $500 to $4,000 for CPAP devices, $2,500 to $3,000 for sleep apnea dental devices and up to $50,000 for surgery. The CPAP market raked in $2.3 billion globally in 2010 and 60% of that was in U.S. dollars. Yes I believe truck drivers do lack sleep, more than non-commercial drivers, but I don't think that we should be discriminating against the "bigger boys" and pulling them off the road for weeks at a time (it can take up to two weeks to get results for sleep study tests) without something more substantial to back the hunt. And with actual figures that say more accidents happen in non-commercial vehicles, shouldn't we focus on the four-wheeling public rather than truck drivers? Truckers need to be aware of the facts of sleep apnea to protect themselves and their job. And If you do have concerns about having sleep apnea, you shouldn't lose sleep over it, you should get tested.